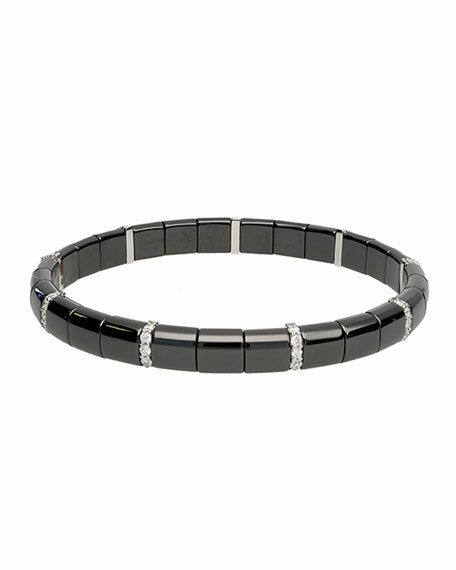 Roberto Demeglio black ceramic bracelet. 18-karat white gold set with white diamonds. 0.63 total diamond carat weight. Interior stretch cord for slip-on style.